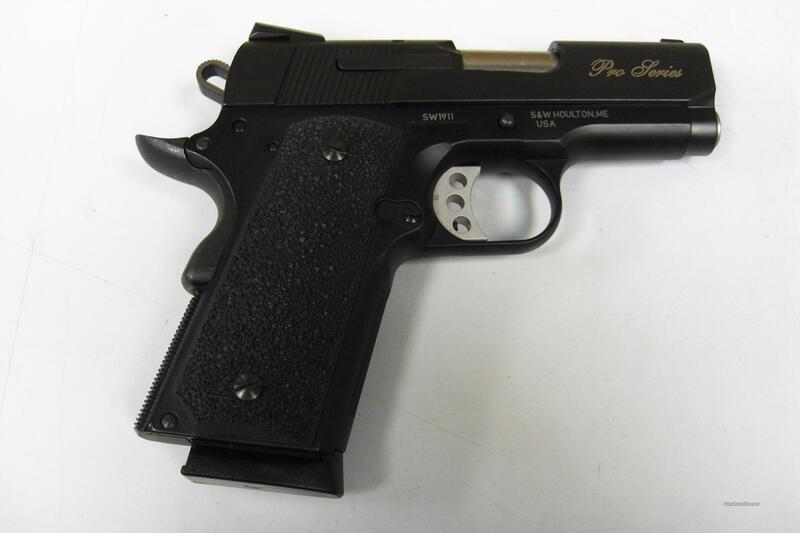 Description: This new Smith & Wesson SW1911 Pro Series pistol fires the .45acp round. It has a 3" barrel with an overall black finish. This semi-auto pistol features a scandium frame and a 3 dot sight system. This sub compact pistol comes with hard case, lock, and two 7 round magazines.